Officer Jeronimo Yanez was found not guilty of manslaughter last week. Just a week after a Minnesota jury found Officer Jeronimo Yanez not guilty in the killing of Philando Castile, dashcam footage from the traffic stop where the shooting occurred has been made public by the Minnesota Bureau of Criminal Apprehension (BCA) and Ramsey County Attorney’s office. The video, which is graphic and difficult to watch, shows Yanez walking over to Castile's car and alerting him that his brake light is broken. Yanez asks for Castile's insurance card and license. Castile hands the insurance card over before saying, "Sir, I have to tell you I do have a firearm on me.” Castile had a permit to carry a gun. Castile assures Yanez that he isn't pulling it out before Yanez shoots into the vehicle seven times. 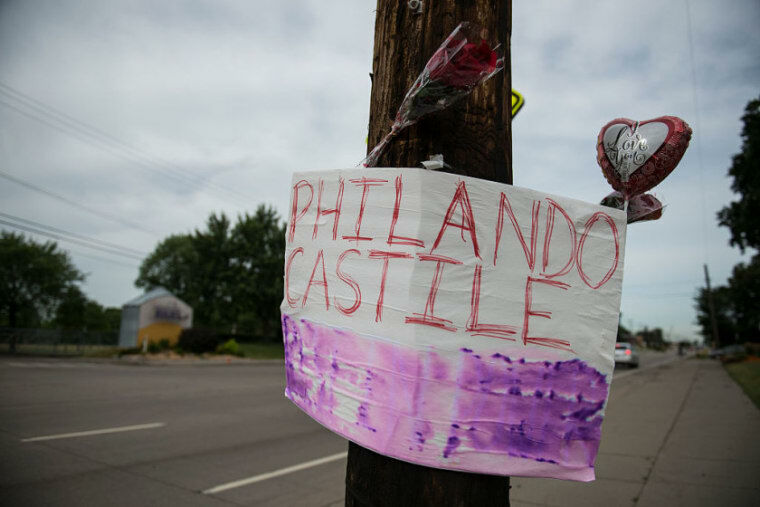 Both Castile's girlfriend Diamond Reynolds and her daughter were both in the car at the time. The shooting took place in a suburb of St. Paul, MN in July of last year. Immediately after Yanez firedinto the vehicle, Reynolds began to stream on Facebook Live, which made the shooting into a national headline. The recently released video was played in the courtroom several times for jurors before they made their verdict. Yout can watch the video here, but be warned that it is very graphic and upsetting.